Baby Shark is everywhere right now, and it hasn't taken long for the toy makers to get in on the trend, as you can now buy Baby Shark Toys! You can buy Talking Baby, Daddy or Mummy Shark toys, Moving Baby Shark Plush, sound cubes, puzzles and even a fishing game! 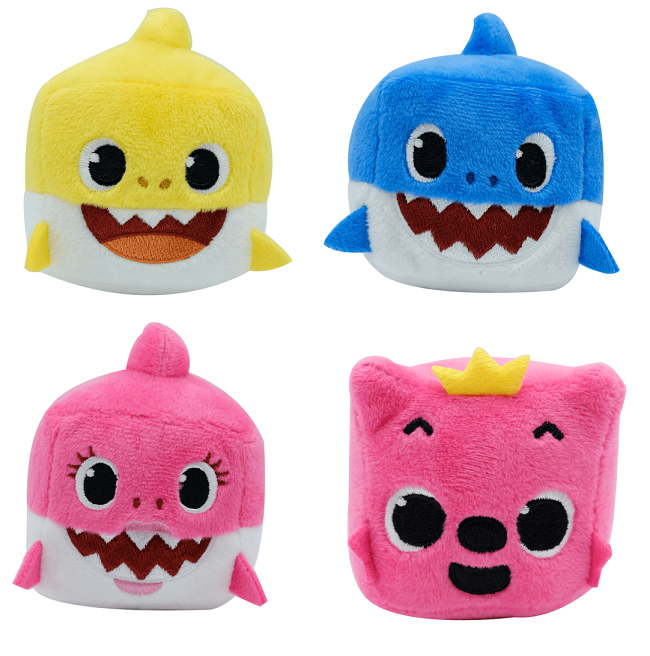 There are three types of Baby Shark toys available; Talking Baby, Daddy or Mummy Shark for around £15 each, Moving Baby Shark Plush Toys at around £30, and the newest are Baby Shark Family Sound Cubes for around £7 each. The talking toys sing the Baby Shark song, plus another original song, so you'll never be able to get the catchy tune out of your head! The Sound Cubes look like a great buy for little ones, as you just squeeze them to start playing the Baby Shark song, and squeeze them again to get them to stop. 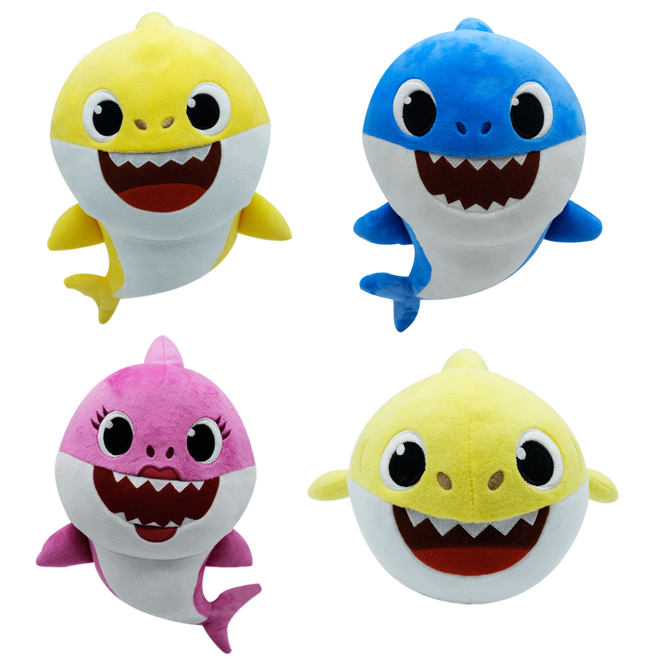 You can also find a selection of Baby Shark toys, clothing and even a sound book at the official Pinkfong Baby Shark Store at Amazon*. think Holly would love one! .... I bet Molly would love these! At least we won’t have to sing it anymore!